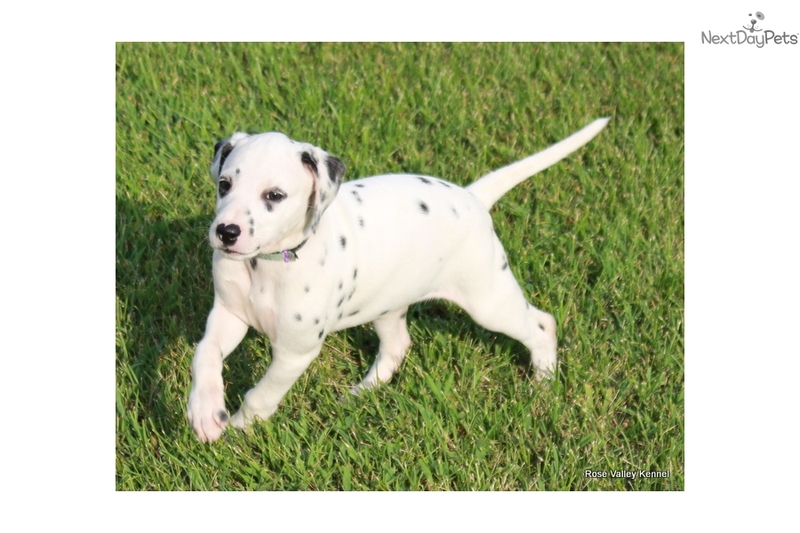 This Dalmatian nicknamed Faith's Litter sold and went to a new family. 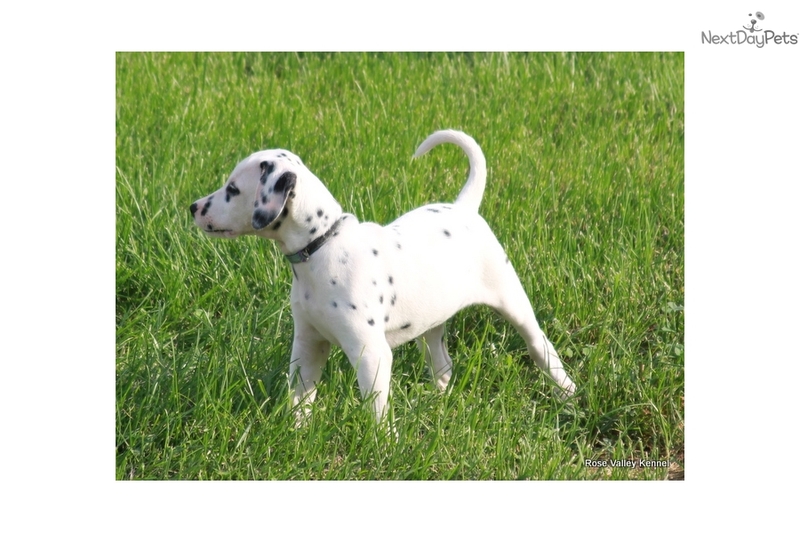 Beautiful AKC limited-registered Dalmatian puppies for $900. These puppies will be ready for their new homes after 08/20/16 when they turn eight weeks old. More information can be found on our website: www.rosevalleykennel.com/faith0616.htm. These puppies will be up to date on vaccinations, de-wormed, dewclaws removed, and socialized from birth. 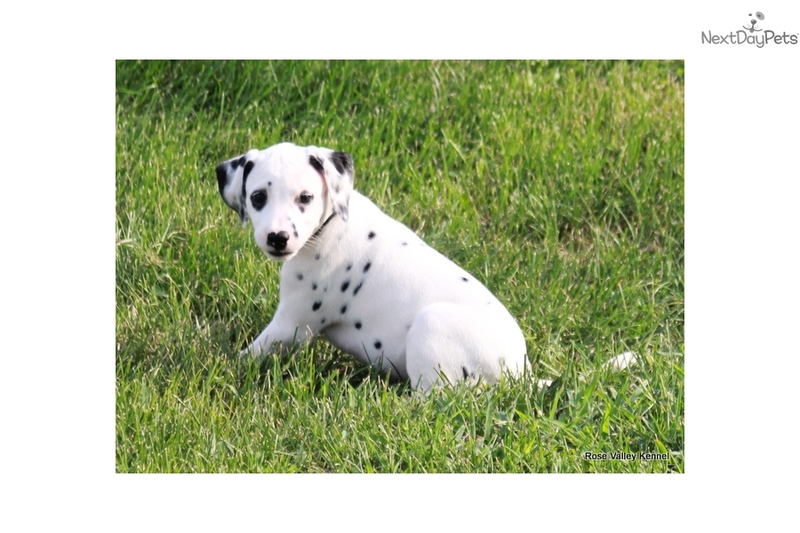 The new owner will be provided with a copy of their health records in addition to a Health Guarantee, Purchase Contract, and Spay/Neuter Agreement. 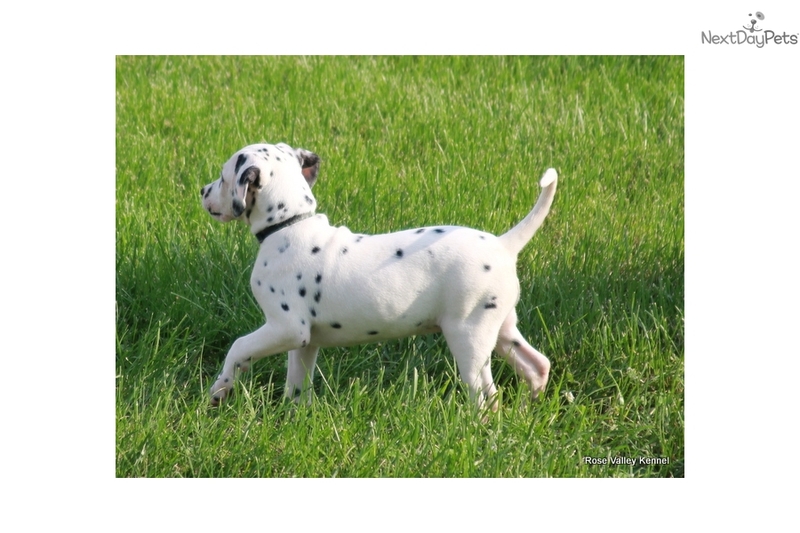 If you are interested in one of our puppies you may fill out our questionnaire: www.rosevalleykennel.com/quest.htm. Check us out on Facebook: www.facebook.com/therosevalleykennel to see what some of our previous pups are up to now!